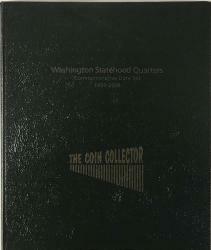 The Coin Collector albums are comparable in manufacturing quality to the major brands (such as Dansco, Whitman and Littleton) but at a fraction of the cost. 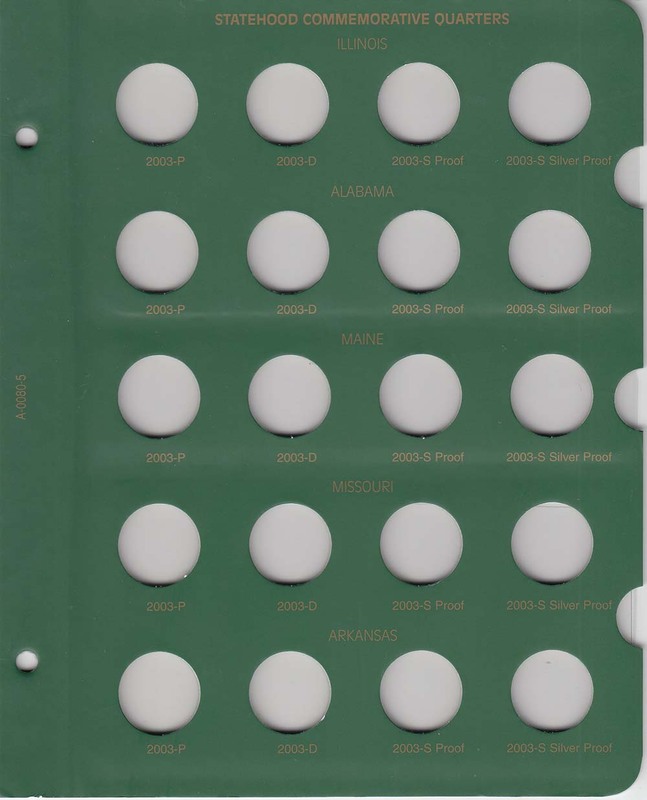 The covers are similated leather texture and dark green in color. 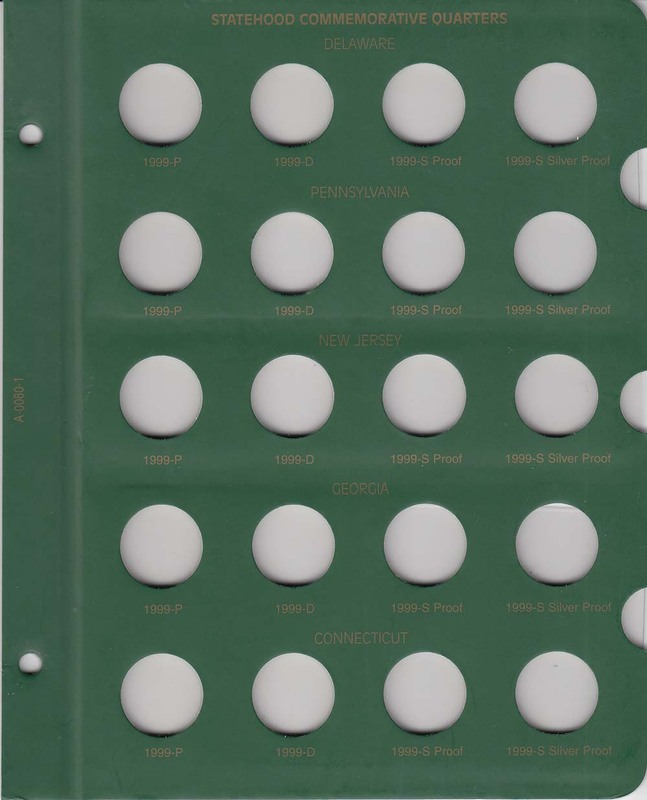 Like the other major brands, The Coin Collector albums have clear acetate slides that cover each side of the coin making both the obverse and reverse visible. 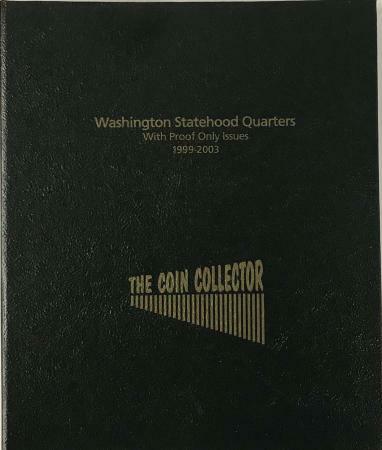 The Coin Collector albums do not contain PVC. 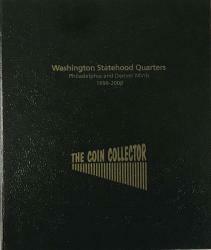 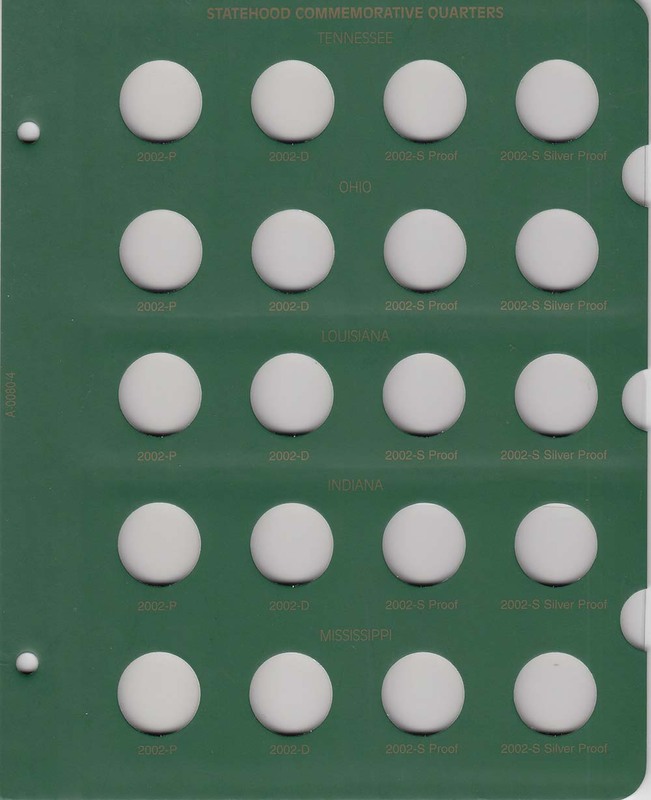 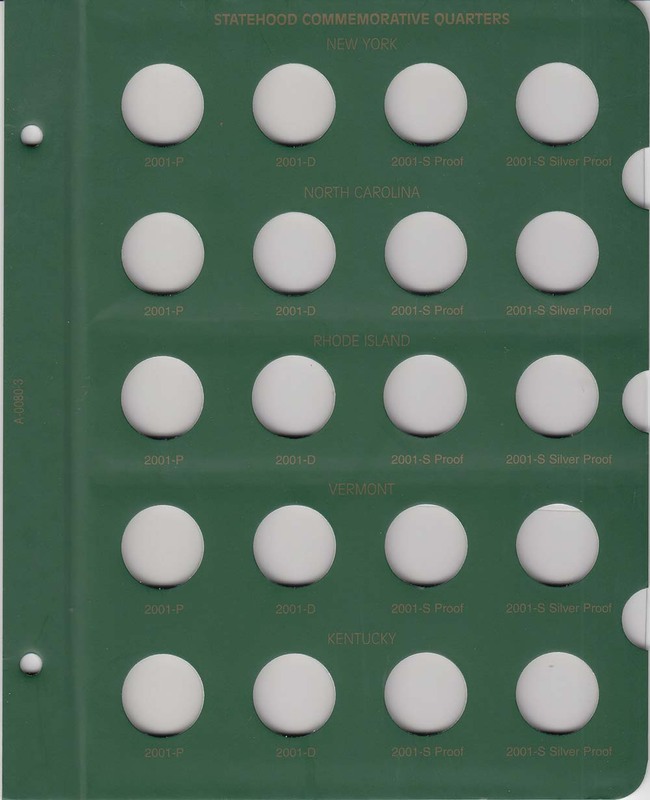 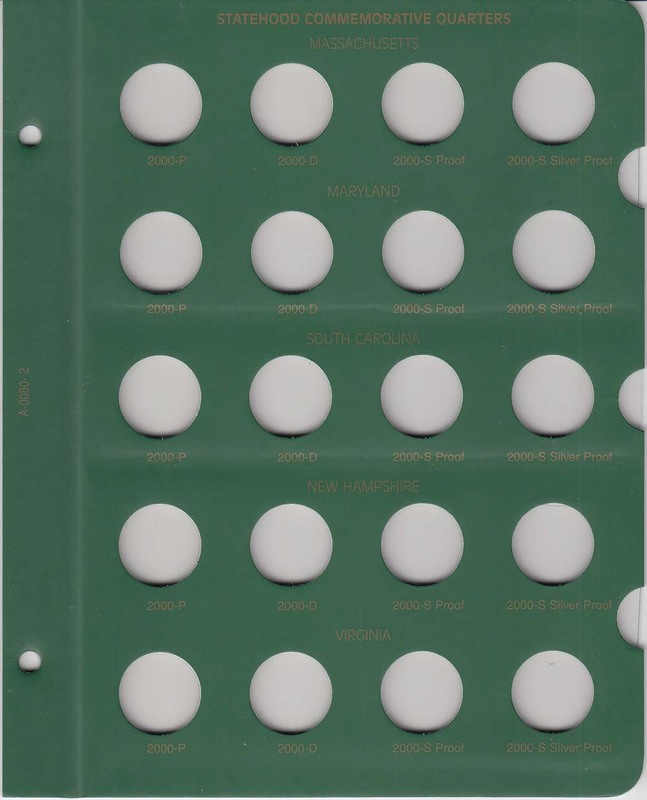 The album includes four slots (P-mint, D-mint, S-mint proof, and S-mint silver proof) for each state quarter issued during the first 5 years of state quarter program (1999 to 2003).